I’ve been getting a lot of questions about the dermal roller, a skin device that looks like a rolling pin with needles attached to it. It is used in spas and hair salons in a treatment called micro-needling. What basically happens is this: The technician runs the tool over your face to cause mild trauma to the skin, focusing on scars and deep lines (damaged collagen). Immediately after the rolling, they apply some kind of topical such as a serum containing hyaluronic acid or vitamin C to promote healing and collagen repair. Working on the principle of controlled damage (puncturing damaged collagen to illicit a healing response in the scar tissue to promote new collagen which results in a smoother skin texture), micro-needling is said to help improve the look of scars and fine lines with multiple treatments. Despite having acne scars, signing up for a micro needling treatment at a spa and salon never appealed to me. The idea seems primitive to me, not only because the device looks like a cheap toy but also the fact that it doesn’t use any heat. Heat plays a critical role in improving damaged collagen (collagen remodelling). Also, there is a risk of getting an infection with derma rollers if the technician does not use proper sterilization. And trust me, sterilization can often be put on the back burner at high traffic salons and spas. When I worked in the salon and spa industry I saw some pretty lax behaviour when it came to tool maintenance! But I do get the appeal. At $200 – $400 per treatment, it’s a fraction of the cost of a laser resurfacing treatment at a dermatology clinic which is a more proven method to treating scars. For those interested in micro-needling I would suggest looking into the most advanced version of it, one that incorporates heat such as radio frequency. This type of micro-needling is only available at skin clinics where there is a doctor on staff and is performed by a medical aesthetician. I tried medical-grade micro-needling three weeks ago and found the experience a little frightening. Maybe because it was just a new sensation – being pricked and burned with a stapler-like hand piece. However my skin did look incredibly smoother and felt tighter a week after. Like all lasers, the effects are cumulative so it’s best to keep getting treatments done as we age to reap optimal results. Would I get micro-needling done again over other laser treatments at DLK on Avenue? I wouldn’t jump on it. I prefer the comfort level and short downtime from their mini Laser Peel (blogged about here). But everyone’s skin and tolerance level is different, so what may work for me may not work for you. That’s why in your quest for better skin it’s so important to work with an experienced dermatologist who can recommend the best treatments based on your comfort level and expectations. 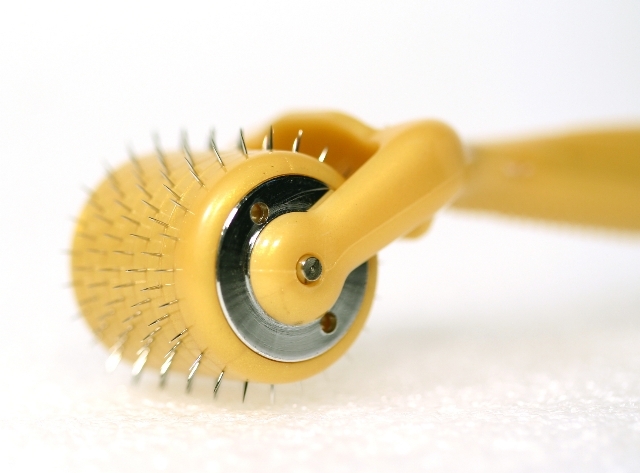 In this video, my derm Dr. Lisa Kellett, gives you The Skiny on derma rollers. 78 queries in 0.857 seconds.